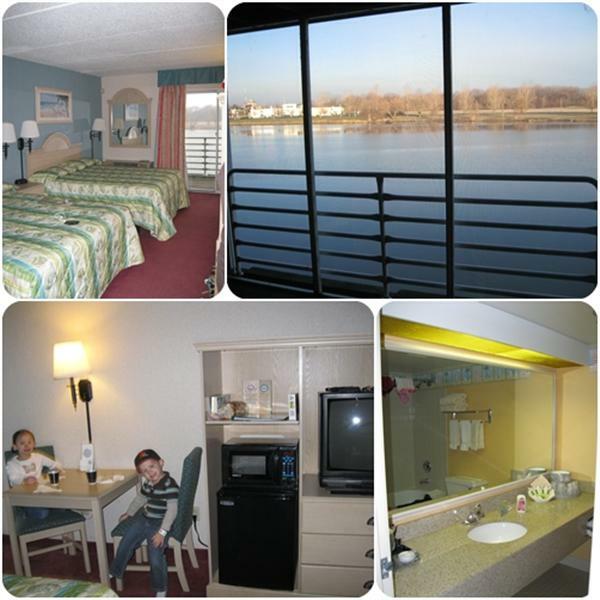 This past weekend we had the chance to visit and stay at Castaway Bay in Sandusky, Ohio. Kora & Logan have really started to love swimming so we were excited to take them to Cedar Point’s Indoor Waterpark. Castaway Bay is open year-round, is always a beautiful 82 degrees, and offers 38,000 square feet of wet, watery fun. 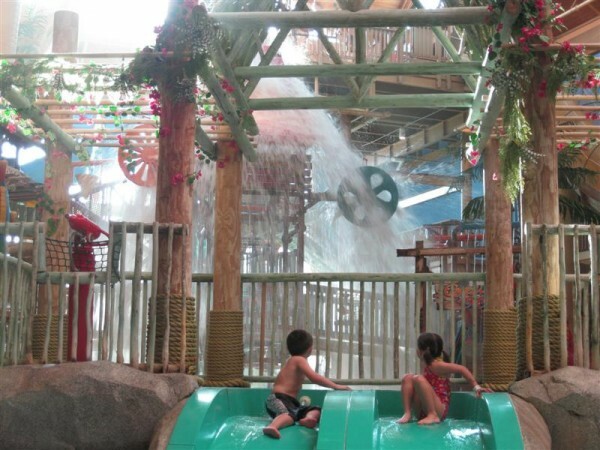 With areas like the Toddler’s Tide Pool, Creature Cove, Cargo Crossing, Lookout Lagoon Family Fun House, a wave pool, watercoaster, and waterslides of all sizes we knew we were in for a fun family weekend. 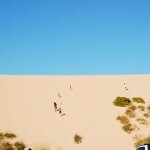 We arrived at Castaway Bay on Saturday at 1:30 pm. We pulled into the parking lot and were amazed to find it overflowing as well. It was tough to find a parking spot and then it hit me – Spring Break! We were told, as was expected due to the crowd, that our room wouldn’t be ready until 4 pm but we were given our waterpark wrist bands. 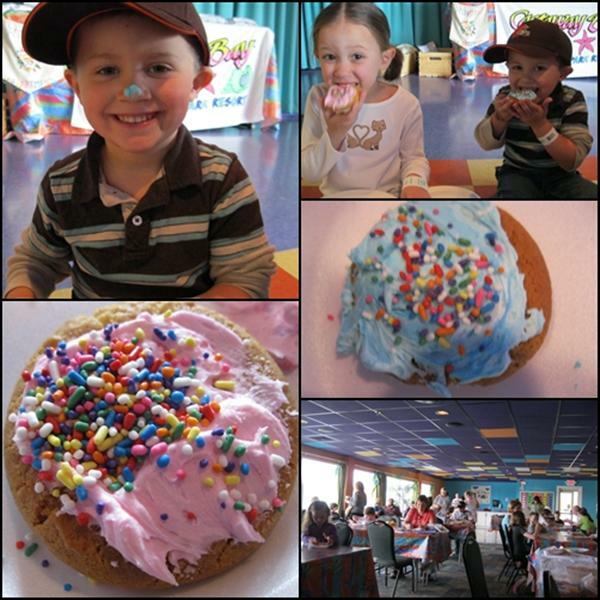 Before we went to the waterpark though, we looked over the children’s activity schedule and read that Cookie Decorating was taking place at 2 pm. We thought it would be something the kids would enjoy and I’d say we hit that one on the nose! I was pleasantly surprised with the amount of children’s activities that were offered throughout the weekend. There was something going on almost all the time and most of it was free of charge. After eating, Kora & Logan were so excited to go swimming that we got changed and made our way into the waterpark. It was packed! We managed to find a single chair for all our our things and the kids hopped right in the Toddler Tide Pool. Children and adults were nearly shoulder to shoulder and were bumping into each other every two seconds. But we made the best of it and even though Logan ended up with a small knot on his head after being knocked down by another child, the kids still had fun. 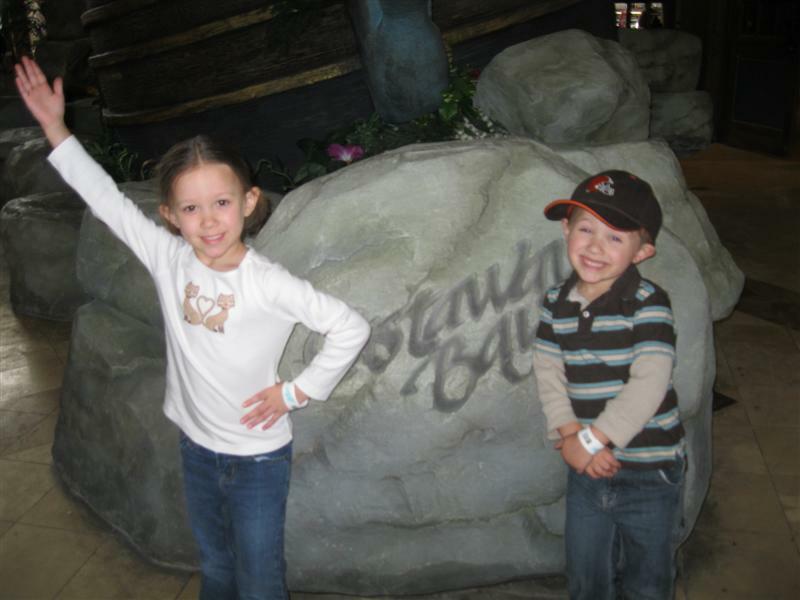 While we did check out the Lookout Lagoon Family FunHouse and the Wave Pool. 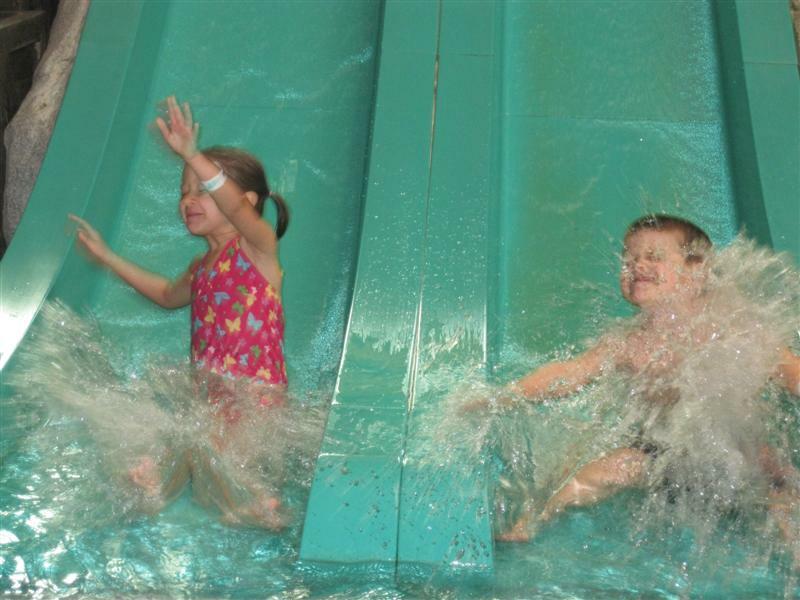 Kora and Logan enjoyed the larger waterslide located in the Toddler Tide Pool and spent most of their time there. At 4 pm, as promised, our room was ready. We decided to go up to the room, take a break, and have a snack. We were very pleased with our room. It was nice and simple and clean. It offered a TV with lots of channels, a mini-fridge, a microwave, and a gorgeous balcony. 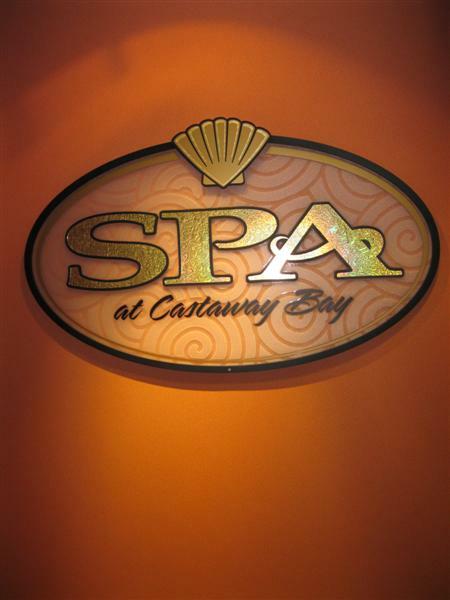 Since Tired Dad Dave’s birthday was only 2 days away, I had planned a birthday surprise for him – a massage at The Spa at Castaway Bay! When I told him about it he was very surprised – especially because I’m terrible at keeping secrets! 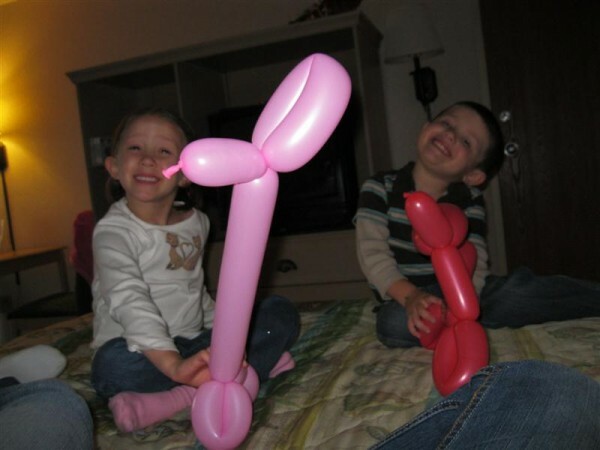 While Tired Dad Dave got his massage, the kids and I noticed on the children’s activity list that there were balloon animals being made in the lobby. So off we went. Kora was thrilled with her giraffe and Logan was excited about his dog and they played with their balloon animals in the hotel room for quite awhile while we waited for Tired Dad Dave to return. Once Tired Dad Dave came back refreshed and rejuvenated from the massage, we grabbed a bite to eat and then lounged around the room since it was almost bedtime for Kora and Logan. That night everyone slept decently. However, even though we had both a sound machine and the bathroom fan on all night, the hallway was loud. We were on the second floor near a stairwell and kids ran up and down the halls, slammed the stairwell door, until 10 pm or so. There was one point in the evening where someone banged on our door and when Tired Dad Dave answered they ran off down the stairs. Luckily, it got quieter after that which was good. The next morning we were up bright and early and ready to head back to the waterpark. We decided we’d try to get there when it opened to see if we could beat the crowds. We were thrilled to see that we nearly had the place to ourselves. After awhile, they became a bit more adventurous and tried out a slide or two in the Lookout Lagoon. Tired Dad Dave tried the water coaster which he said was fun. He was amazed that he didn’t get wet on it and thought it was a great ride. 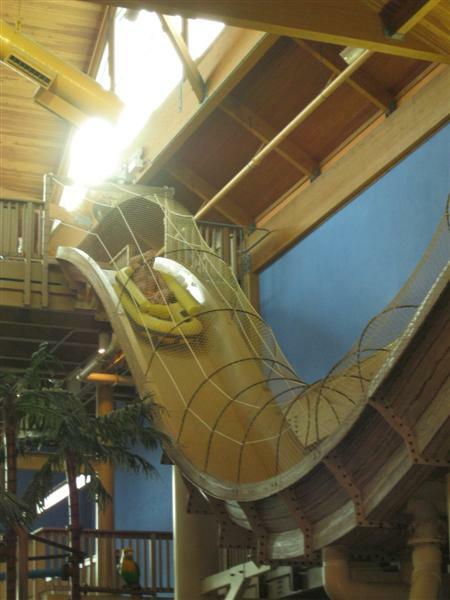 He also tried one of the big waterslides which he was shocked at how fast it was. I was actually surprised that he didn’t go again, but the kids were calling. He was the fun parent, he went down the little waterslides with them and played in the water with him – which they loved. Our checkout time was 11 am, so we went back to the room just before that to clean up and pack our things. Checkout was a breeze and we were all a little sad to leave the warm 82 degrees of Castaway Bay as we headed home in a drizzle of freezing rain. It was a fun family weekend and one we hope to do again soon. Hotel accommodations and waterpark passes were provided for this review. No compensation was received. The honest opinions are mine and that of my family. This looks amazing! 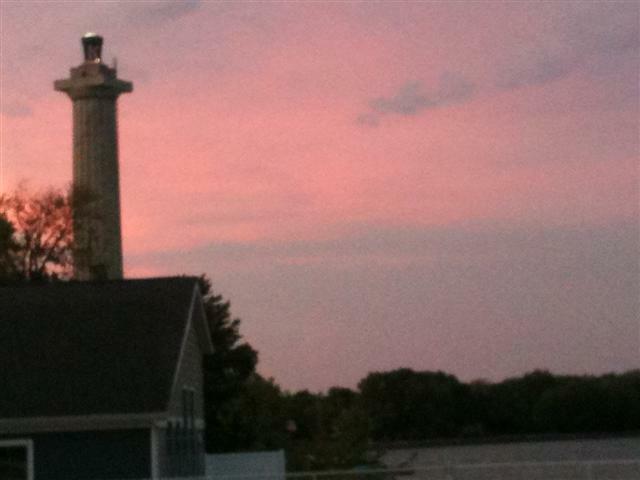 Haven’t been to Cedar Pointe in Ages. Definitely need to get there soon! Would love to take my family there!! Looks like a blast! 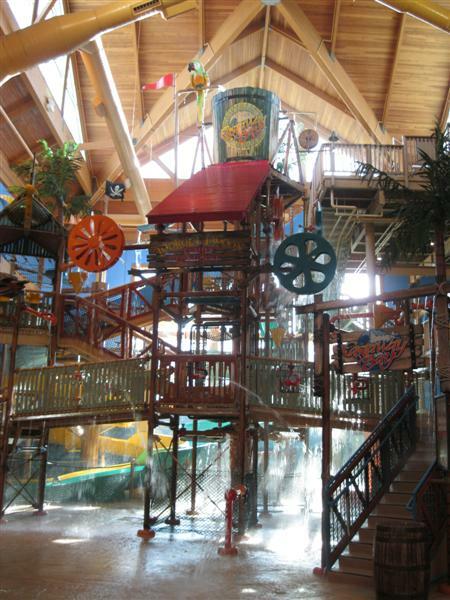 i love indoor water parks. they are so fun for the whole family. i think i like them as much as the kids. this one seems like it was fun. All in all this sounds like a great place to vacation with kids. I loved watching the vids! How much fun! That water coaster looks like a lot of fun. I haven’t been to Castaway Bay yet, but look forward to going. We’re planning a day trip in the next few months. Great review! This looks likes so much fun! 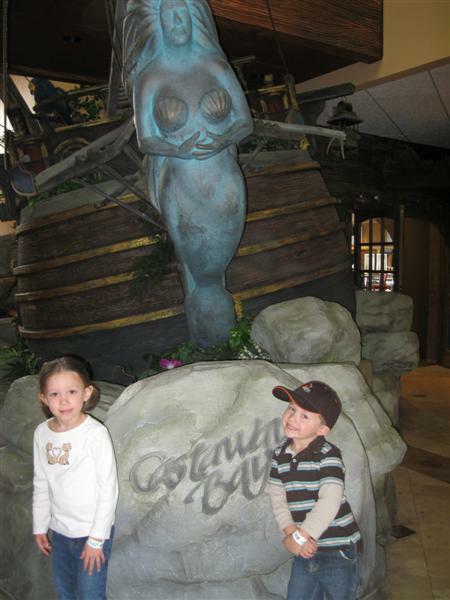 I enjoyed this blog on Castaway Bay, we have never stayed there but have thought about it. We would love to take this trip. 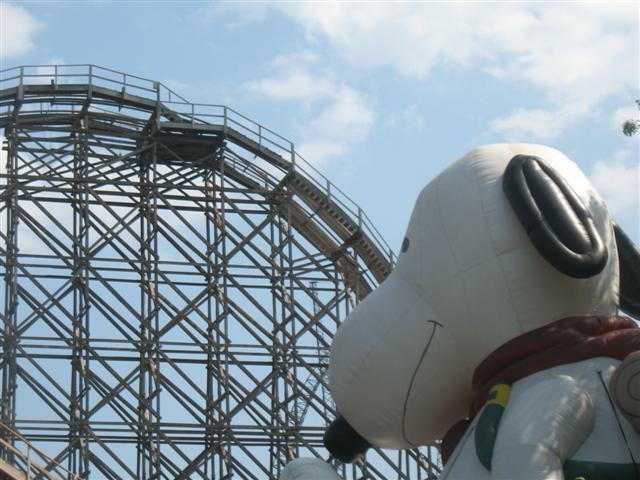 The girls would love the trip and all the roller coaster rides. 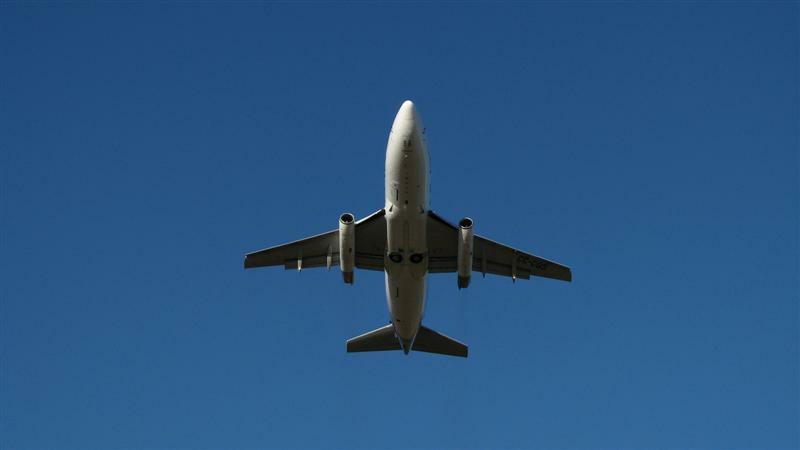 Do You Exercise When You Travel? 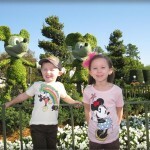 Disney Social Media Moms Celebration 2013 – We’ll Be There!